My dress is so beautiful and is a perfect fit! Thank you so much for your beautiful work. I love the dress! The whole experience has been wonderful. And my best wishes to you. With much gratitude and happiness! Just wanted to say thank you so much for the cheongsam/qipao! I received many compliments and a number of my friends and family asked for your website. Keep up the good work! The dress arrived today. It is beautiful!! The fit is PERFECT; I can't believe how wonderfully it fits. I was prepared to have to have it altered, but I don't need to. My husband agrees that it is gorgeous. And the color is exactly as I needed (the bride had requested yellow, which is a color I usually do not wear). Thank you very much for all of your help. And thank you, also, for making sure it arrived in time. I am Alice, I am writing to tell you how very much I enjoyed the dresses you tailored for me.I would like to take this opportunity to express my heartfelt gratitude to you for your kindness. I ordered two custom dresses for my wedding in your shop on Sep8 2011.And I want to receive the dresses before Oct2.I know it will take a long time to tailor my dress since both of my dresses are embroidered dresses.Thanks for you patients and kindness.And I received my dresses in time. The two dresses fit me very much.Everything was just about perfect. You certainly know how to make a guest feel at home. I hope everyone in efushop know how I appreciate your hospitality, and your many kindnesses to me. I count myself fortunate indeed to have you to make my dresses! The dress arrived today. It is lovely and fits perfectly. Thank you so much. I got the dresses. Thanks. Eventhough I've been frustrated with the tardiness, I really have to compliment the tailors on the the great workmanship. I received my dress today. It is the most beautiful dress ever!!!! Thank you so much. 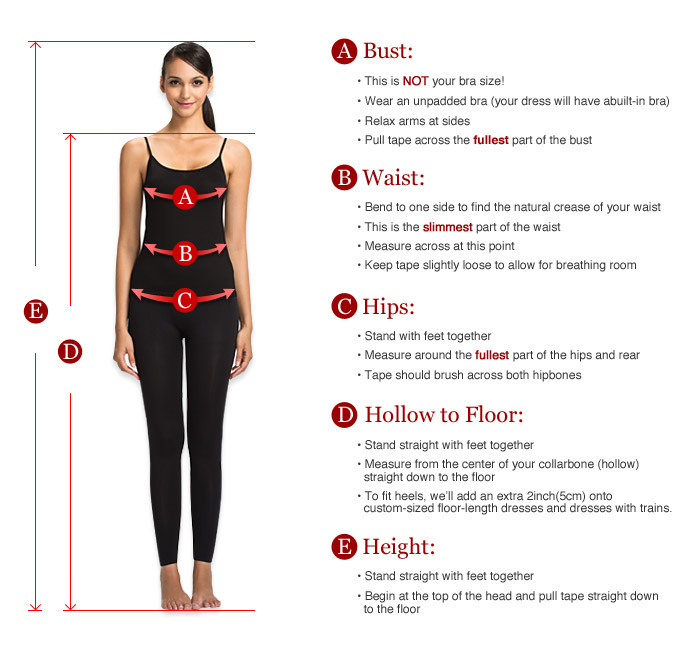 The measurements ,length and fit are perfect! I was wondering if you would happen to have my dress measurements because i lost my copy and may want to order a future dress with you. Just a quick email to let you know i have received my dress and i would like to comment how happy i am with it!! The dress is very well made and fits very well but only comment is that the bust area was abit too big but not noticable. overall very happy with the dress. The sample fabric you sent with dress wasnt the colour that i had in mine but thanks for sending it over. Thanks again for your help!! Will definately be shopping with Efushop again. I received the dress and it was fine! thank you! I want to say thank you very much for the dress - it is absolutely beautiful and fits well! The dress has been sewn very well and I think you for your superior service! I have recommended efushop.com to a few friends already! Hi Sally, I received my dress today. The dress is perfect! It fits very well! Your service and delivery are excellent! Thank you! I cannot wait to wear my dress! Thank you sooooo much Dear Sally! i recieved the dress and it fits perfectly. I wanted to let you know that the dress arrived today, and it fits perfectly! I don't need to alter it at all! Thank you very much for your beautiful work, it is exquisite. Please keep my measurements on record, because I plan to order with you again. Hi Sally - the dress arrived and it looks beautiful! It fits well. Thank you so much! Guess what arrived today? It took only 10 days. The dress is beautiful - thanks! It fit fine - maybe a bit loose just past the hips, but loose is much better than too tight. Thank you - I will be wearing it as one of my outfits on my wedding day. I received the dress, and it is beautiful and fits perfectly. Thank you so much again. I will send pics when after the wedding. Thank you. I have now got my dress and it is beautiful. I'm really looking forward to wearing it to the wedding. Thank you very much. Yes, Thank you I have received my dress, it fits very well! Excellent craftmanship, I would definitely buy from you again! for the timely order. The dress is beautiful. We received the dress today and my daugther absolutely loves it!! It's better than she ever could imagine!! It fits perfect. I will send you a picture from the dance. Thank you for following up. Yes, we received the dress. It's fine, thank you for your help. The dress arrived yesterday; it is beautiful, thank you very much for your fantastic work. The waist is a little too large so I have taken it to be altered by my tailor. I will be wearing the dress at my wedding party so there will be lots of photos taken. Please let me know if you would like a photo of the dress to show potential clients. I got the dress it's wonderful! Thank you so much!!! I apologize for not replying sooner¡­I have been traveling a lot and Morgan has been saturated with SAT¡¯s and school tests. The dress is absolutely beautiful! We are so pleased. It fits perfectly¡­ As a mother, I am almost shocked to see what a striking figure it brings out in my daughter. Your dress has really added excitement to her prom night! Thank you!!! Also, unlike a prom dress, it is a dress that she will wear again and again..(as long as she doesn¡¯t gain any weight¡­ha ha). Your delivery timing was excellent as well, thank you. Often, when ordering from somewhere online for the first time you don¡¯t know what to expect. You cross your fingers and hope that the quality and the deadline will both be met without any difficulties. Your emails Sally, and customer service, as well as the dress¡¯ quality and its on time arrival, were excellent! We will definitely be ordering again from you. Yes i got it on time and it fit wonderfully. I got many good comments on the dress....No, thank you on the Vip member. Thank you so much!!! The dress was beautiful and I was able to wear it at my wedding banquet. You did so much for me and I really appreciate all the help, especially with the return and re-making of the dress. You and your company are wonderful! We received the dresses for Alyssa, Abigail, and Ardra. Alyssa's and Abigail's dresses fit perfectly, but Ardra's dress was a bit too big. We can have it adjusted though. The dresses are stunning and we love them. Thank you. We got the cloth and it fits very well this time. Thank you very much. Keep in touch. I did receive the package. I contacted FedEx directly and they were able to assist me. The dress is beautiful - thank you very much! I just went to see an alterations specialist here in town to alter my white wedding gown. I also showed her my Chinese wedding dress, and she wanted me to specifically tell you what a wonderful job your tailor did. She was very, very impressed with the quality of the material and wanted to know where I got the dress. She said there was an American girl who brought a Chinese dress in for her to alter, and that the material and the workmanship was very poor compared to mine. She said she will recommend her customers to your site!! She did mention however, that the back to waist length was a little long, and that's why I have a little hump of fabric above my bottom. I must not have measured myself correctly. I never noticed the little bump before because it's at the back of the dress. IF by chance you have just started on the new dress and can make the back measurement 1 - 1.5 cm shorter, that will be great. If it is too late, please do not worry about this at all. Like I said, I did not even notice the little bump on the back, so I don't think the guests will pay attention to it. Ok. I hope you have a great weekend! I have received the dress and tried it on. It fits fairly well. Your tailors are very good. I have included/attached some photos showing some of the areas where it might not be fitting well. Please take a look at the photos. I love my CheongSam so much, workmanship is really nice and I got a lot of compliments. Thank you for making my wedding day so special. The dress just arrived and it's stunning! And it fits me perfectly! Hi, Sally! This is Olga. Finally sending you pictures from my wedding. Everybody absolutly loved my bridesmaids' dresses! Thank you very much! The dresses were fantastic - everybody thought they were beautiful. I have hust received the dresses and they are looking beautiful!. Thank you very much, I am very happy with the fabrics and workmanship and for sure will get back to you for more orders further on. I wore my beautiful dress for my wedding on 30th October in Las Vegas, here is a couple of photo's of it hope you can use them. I just received the dress. It looks beautiful. Thank you so much for all your help. I will refer others to your website. I received my new jacket and I am very happy with it!! It is so well made and fits perfectly. The jacket is beautiful and I can't wait to wear it!! Thank you again for helping to make ordering from efushop so easy. I am looking forward to ordering more clothes soon. The dress has arrived. It's very beautiful and fits well. We'll take some pictures, and if they come out well, I'll email one. I'll be sure to pass on your website to others who might be interested. Thank you again for everything. I just wanted to let you know that the dress is beautiful and fits very well! I will send you a picture of it on in the near -future. Hi Sally i recieved the dresses they are beautiful thank you :-) one is just a little short if possible could you send me a strip of the fabric i can get my mum to alter it for me ?